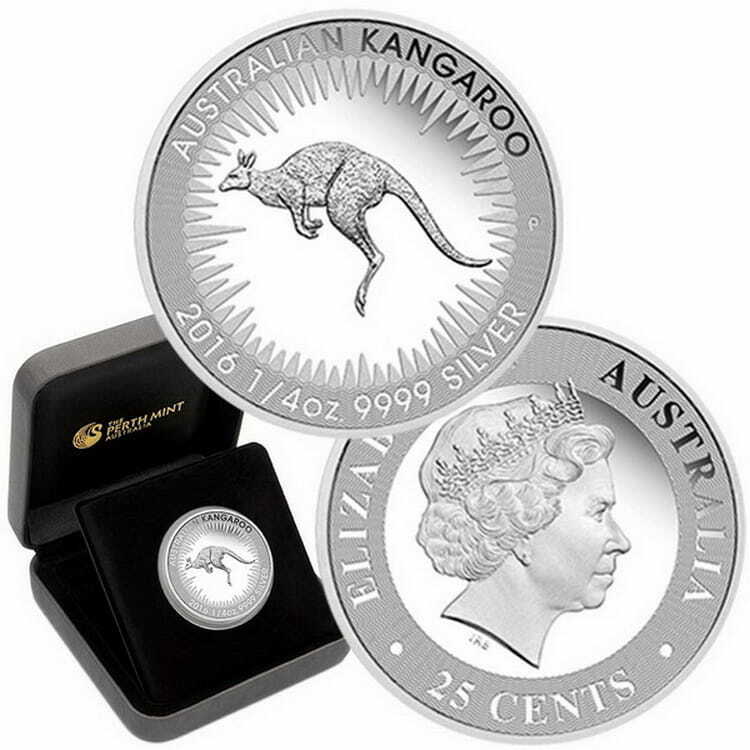 The Perth Mint issued Australian silver coins of the “Kangaroo” series along with the same coin series made of gold, as a way to invest on a low-budget. 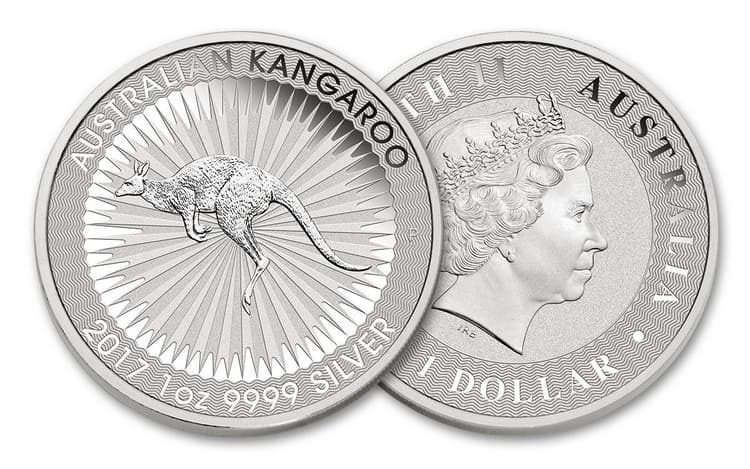 The first silver coin of the «Kangaroo» series weighed 1 ounce, was made of silver with a fineness of 999.9, and was issued in 2010. Since that moment, the general distinctive design of the coin was changed only once, in 2016. 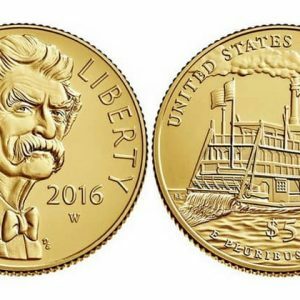 However, the specifications of the coins of 2016, 2017, and 2018 remained unchanged. Along with these coins, there are other denominations of a lower weight and face value. You can find all Australian silver coins in our catalog. All 1 Dollar Australian silver coins in our catalog. Kangaroo is a unique representative of the Australian fauna. 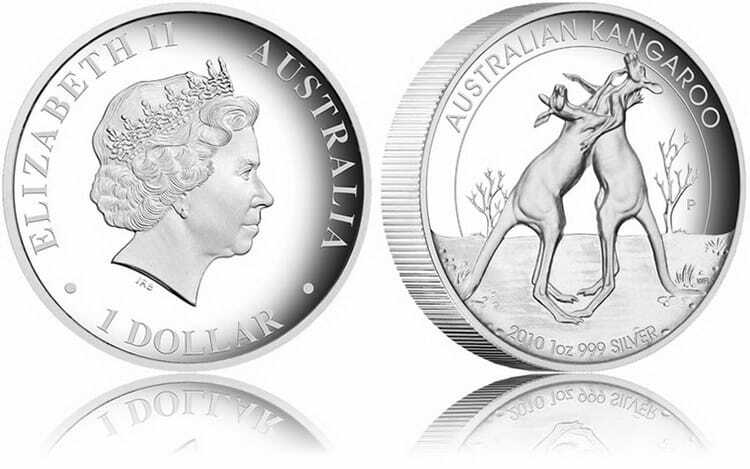 So it is not surprising that, along with a series of investment coins with other animals, coins of the Australian Kangaroo series have become so popular and demanded not only in Australia but all over the world. A more low-budget version of silver coins of this series allows people with different levels of income to save their money, which significantly influenced the emissions that have already become unlimited. Also, each coin, having a unique design, is attractive for numismatists and collectors. The leading engraver of the Perth Mint, Ian Rank-Bradley, has been developing the sketch of the obverse of coins of this series from the very beginning of their issue. His brand stands on the obverse of every coin, and the letter “P” can be seen on the reverse. It indicates that a coin belongs to the mint of Perth. The engravers Wade Robinson and Ing Ing Jong developed the sketches of the reverse of a coin. Obverse: profile of the British Queen Elizabeth II in the center; inscription “ELIZABETH II” at the top; face value at the bottom. Reverse: picture of a kangaroo in the center, corresponding with a design of the year; name of the series “AUSTRALIAN KANGAROO” at the top; year of minting, weight, and fineness at the very bottom. Reverse: picture of a kangaroo on a foreground of symbolic sunrays, according to the design of the year; «AUSTRALIAN KANGAROO»; year of minting, weight, and fineness at the very bottom. one coin in gift packages and in a plastic capsule. In addition, the Perth Mint offers many silver coins in boxes of 250 pieces, which is convenient for bulk buyers. Also, in 2017, sets with four main denominations were issued with “proof” quality in the circulation of 3,000 copies. 10 Australian dollars – 1/10 ounce (3.111 g) of silver with a fineness of 999.9, diameter of 20.6 mm, thickness of the edge of 2 mm. All 10 Dollars Australian silver coins in our catalog. 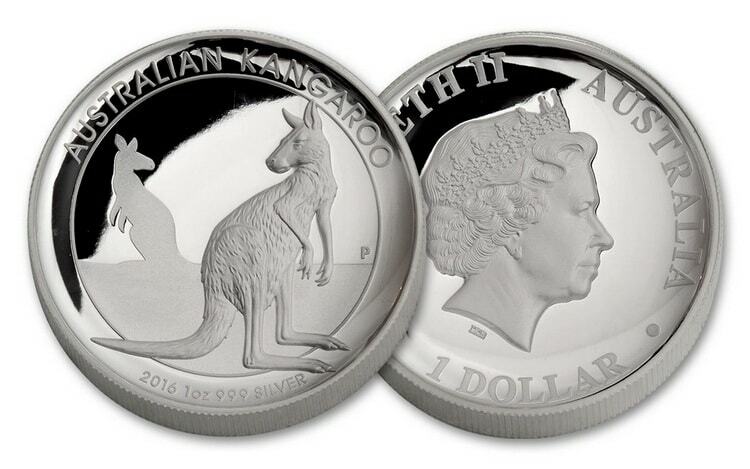 Interesting fact: Silver coin of the “AUSTRALIAN KANGAROO” series with a face value of 25 Australian cents is issued in a small circulation of 13,000 copies. 30 dollars (2017) – 32,151 ounces(1 kg) of highest fineness sliver, diameter – 100.6 mm, thickness – 14.6 mm, circulation – 300 copies. You can find all 8 Dollars and 30 Dollars Australian silver coins in our catalog. Australia can be proud of its mint, which has a long history and is famous for the quality of precious metals and manufactured coins of their series. It was founded near one of the three largest gold mines near the city of Perth in 1896. Australia at that time was a colony of Great Britain, so today the profile of Her Majesty Queen Elizabeth II of Great Britain adorns the obverse of a coin as a memory of this. Perth’s modern mint has its own museum and gathers thousands of tourists from all over the world, many of whom gladly take home some precious coins to remember their stay in Australia. 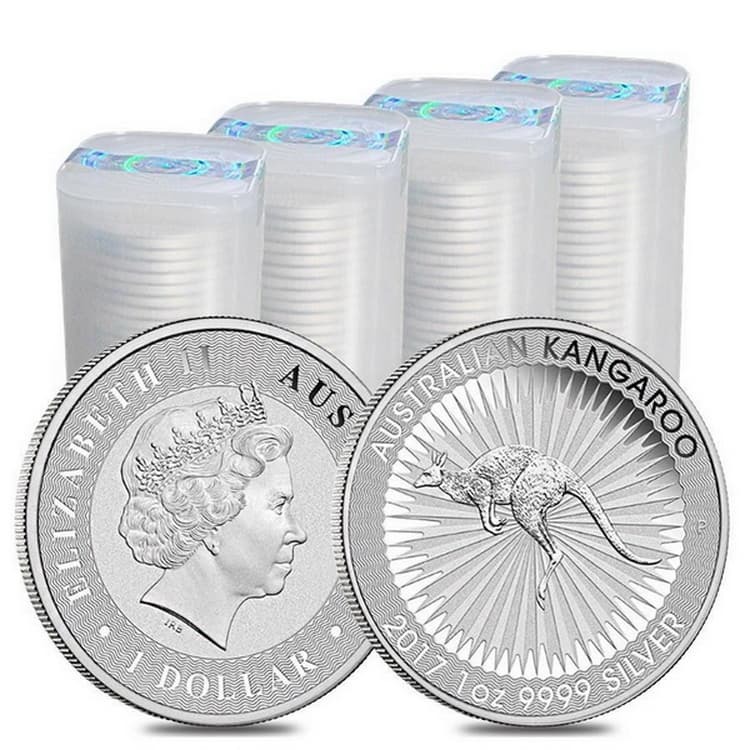 High quality of minting, purity of silver, and constant growth of its value allow the owners of coins of the “AUSTRALIAN KANGAROO” series not only to save their money, but also to multiply them. It should be noted that silver coins of this series can serve as a legal tender in Australia, but their value on numismatic exchanges and auctions is often exceeds their face value twice or more. The approximate cost of 1 “Australian Kangaroo” dollar can range from 16.59 to 23.06 Australian dollars. 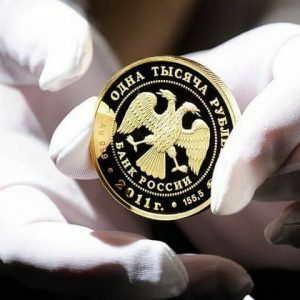 Such price frameworks are stipulated by the demand for a coin, its condition, quality of minting and cost of 1 troy ounce of silver on the basic world exchanges of precious metals. The price of such a rare coin, like 30 dollars, reaches 1590.91 Australian dollars at the auctions, exceeding its face value in many times. 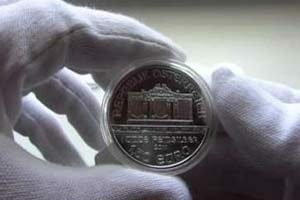 The eight-dollar silver coin of this series can cost from 250 Australian dollars. 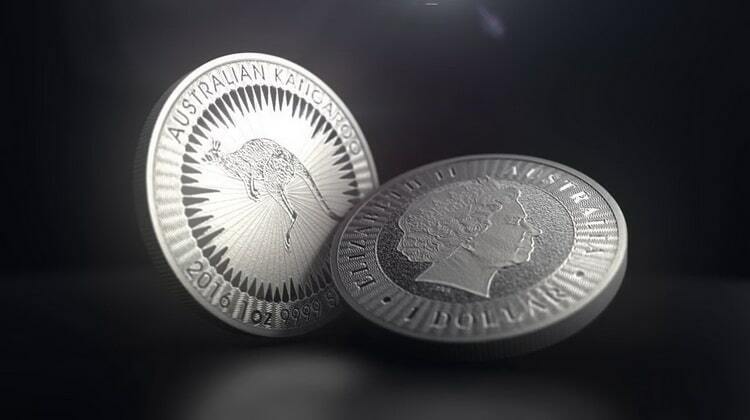 The silver coin with a face value of 1 dollar of the “Australian Kangaroo” series became the bestselling among the whole program of issuing investment coins. Its circulation reaches 1,000,000 pieces per month. The authenticity of each coin from the “Australian Kangaroo” series is confirmed by the individual serial number and quality certificate. 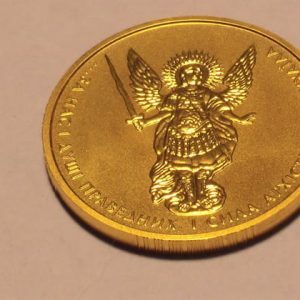 What is a proof quality coin?